I know the blog has been pretty quiet lately. Getting through this pregnancy with Lincoln’s little brother, has been an exhausting task. There have been so many things I have wanted to say about Pregnancy After Loss, but I have struggled to find the words. I have also kept pretty quiet about grief, in general. In a way, I have taken a step back from some of the loss groups I used to be more active in. This pregnancy is stressful. And the more loss stories I read, the more I worry about all that can go wrong. So I’ve kept some distance. Despite this, I have kept my passion for sharing Lincoln. I have kept my passion for my other loss mommies. I have kept my passion for encouraging others to share their stories and their babies. I truly believe in the power behind our babies’ names. Their names are proof of their existence. Their names set their place in our families. And so, in this last month before Lincoln’s brother comes into the world, I am collecting names for my next canvas project. 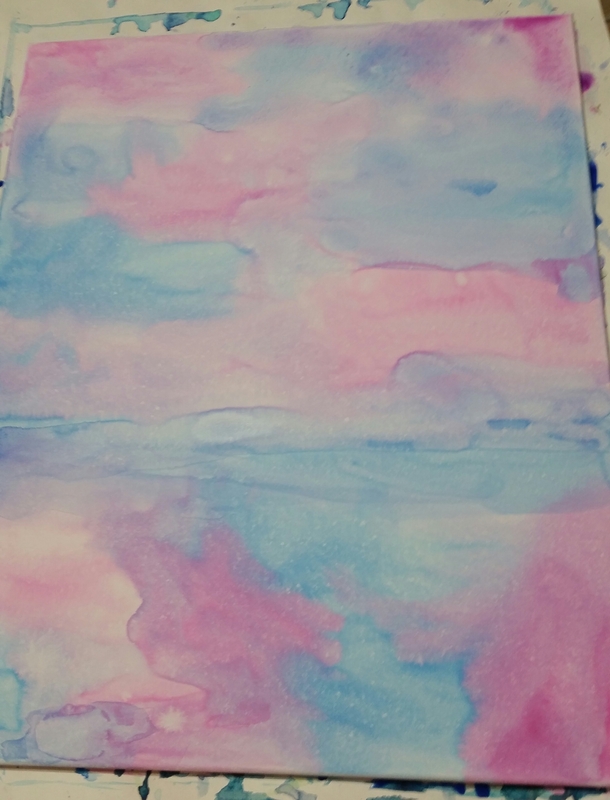 Last October, I painted a canvas in pink and blue swirling inks. I filled the canvas with names of babies. These babies are loved and cherished, and they are gone too soon. See last year’s painting here. To have your baby’s name included on this year’s canvas, you can leave a comment on this blog post. You can also comment on any of my Missing Link Facebook or Instagram posts relating to this project. Finally, you can send you baby’s name to me at missinglink15@yahoo.com. If your baby was on last year’s canvas, I will not do repeats. I dream of displaying each canvas side-by-side one day, so all of these wonderful babies are included. The final project will be posted here on the blog, as well as on my Missing Link Facebook page or instagram page. You know I have to have Danielle on this years canvas. I appreciate so much that you do this. Love you. This is a awesome idea! It truly shows us how we are not alone in this journey. My child’s name that I lost was Henry-Lee Andrew Watkins. He passed due to s.i.d.s two days after Christmas in 2012. And it’s not a easy thing to get over.. people tell you it will get better and time will heal. But reality you can only get through one day at a time. I completely agree. The pain never really goes away. I will absolutely include Henry-Lee.